HOW FUN!!! 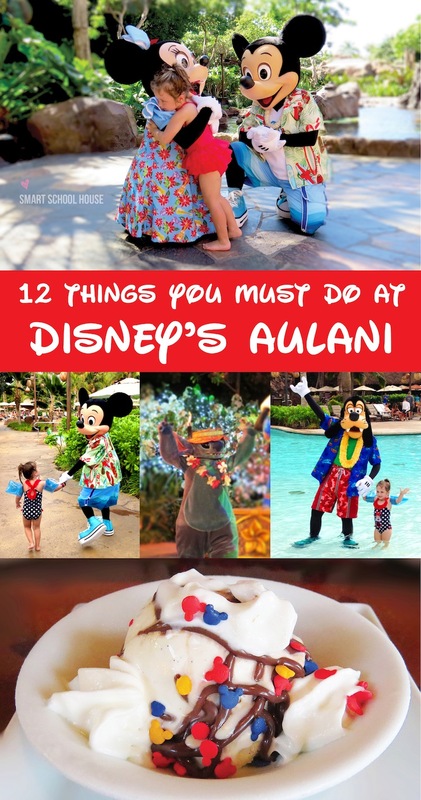 I’ve been looking into the Aulani resort for my honeymoon, but it only makes me think I should wait until I have kids to go visit! Your post definitely reinforces that idea! I’m so glad you had such a wonderful family trip!! xoxo! Great post! We live on island and do our staycations at aulani and we LOVE it!! It really is a magical place, even for adults!! So excited to read this as we are heading there this summer for a few nights! Great to hear about the good coffee – that’s one thing I always miss when visiting the parks in Florida (although I heard they recently partnered with Starbucks). Thanks for the tips! I would love to take a vacation to Disney’s Aulani Resort in Hawaii! It sounds wonderful! I have never been to Disney World or Land, and until now, I had no idea there was anything Disney in Hawaii. What a great win, win! Like you said, Disney fun and Hawaiian relaxation. What a great time you guys had! Thank you for this great info..we are heading there in 3 weeks. Just want to know did you leave your kids at aunties beach house & if so felt comfortable about it? I’m so jealous that you’re going! We can’t wait to go again:) We never checked our kids in alone at Aunties Beach House because our kids are young (2 & 3) and I just didn’t feel comfortable. However, they have “family time” during the morning where adults can go in with their kids and play, craft, explore, etc. It is SO fun and SO cute! We live locally and would love to take our granddaughter for a stay cation but it’s so expensive! I think we’re settling for the brunch on her bday! I found your blog on Pinterest. We are headed to aulani in five weeks and we cannot wait! We are also bringing our 3.5 year old, so I was happy to see all of the activities your little ones got to enjoy. Just wondering if you did anything out around Oahu. Trying to decide what would be good to do with a 3.5 year old. Went to Hawaii back in 2009. Had so much fun. Unfortunately the AULANI Hadnt been built or was under construction. I do remember them building something. I am 63 years old and i want to go back. Thank you Wonderful brother for the best vacation ever. I love you. Would you recommend Aulani for a family with teenagers?